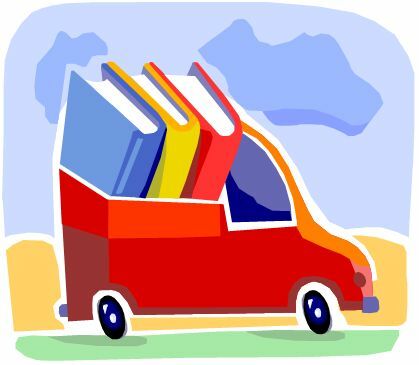 One of our board members, Merryn Walker, has taken on a daunting but impressive goal: 50 book drives in the month of March! Can you imagine? I hope you’ll join our effort. Large or small, you can hold a book drive anywhere. The obvious places that come to mind: office, school, church, neighborhood. But our supporters have gotten creative, and held book drives at birthday parties, tennis matches, even movie premieres! It’s as simple as sitting out a box or bin, then sending an email or Facebook post. We’ll provide the verbiage for an email or Facebook post, and a printable sign you can attach to a box or bin. It’s so easy, and it’s quite fun! We accept books of any kind for children and adults, but we prefer not to receive encyclopedias or old textbooks. We use everything that we can for our youth programs, and sell what we can’t use at our book sale fundraiser. You’d be surprised at the uses we can find for your used books! Many adult books are suitable for middle and high school students, and high school students even request cookbooks. We give maternity books to pregnant teens. We give baby books to pre-K students. And of course we give high-interest books in good condition to children of every age from K-12. Please consider where/with whom you might hold a book drive this March. It’ll help us get an early start on the 30,000 books we’ll need next year. Contact Merryn at merrynwalker (at) yahoo.com.